Today’s file additions for NBA 2K14 PC include the first two entries in our March Modness giveaway! 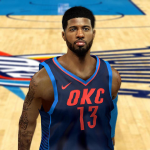 Pep has released updated jerseys for the Denver Nuggets and Memphis Grizzlies, which you can check out at the links below. 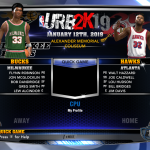 The latest file additions for NBA 2K14 PC include faces, 2019 All-Star jerseys, and a new version of the Gatorade League Mod. Check out all the new and updated releases at the links below! 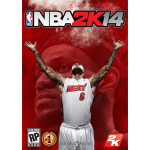 Pick up U R Basketball 2K14 here in our Downloads section! Be sure to check out the release topic here for support, previews, and more information about future releases. Future versions will feature further updates to the retro content. 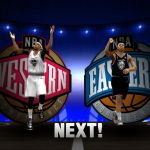 Today’s file additions for NBA 2K14 PC comprise the past, present, and future. Pick up a 2019 season face update for James Harden, a couple of future prospect faces, and a retro face pack for Karl Malone, at the links below! The latest file additions for NBA 2K14 PC include faces, rosters, a custom Draft Class, logos, and more. 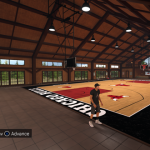 Check out all of the new and updated mod releases for NBA 2K14 at the links below! You can find V65 of U R Basketball here in our Downloads section. Be sure to check out the release topic here for support, previews, and more information about future releases. Additionally, you can find an updated list of cyberface IDs used in URB here.